Bloomix Battle. . Wallpaper and background images in the Клуб Винкс club tagged: photo. Well we're only on season 6. I don't know much else, I kind of just wait 'til I see the episode online. i'v seen season 7 episode 1 but i can find the 2.i want to know what the other transformations are i'v seen things online but are they true? I actually don't know anything about that. I never even heard of there being a season 7 yet. i went on youtube and looked up winx club season 7 episode 1 and it shows something about winx club turning into a new transformation.and now it shows the trix turnig into a new thing and nothing about winx club. I think you're thinking of season 6. 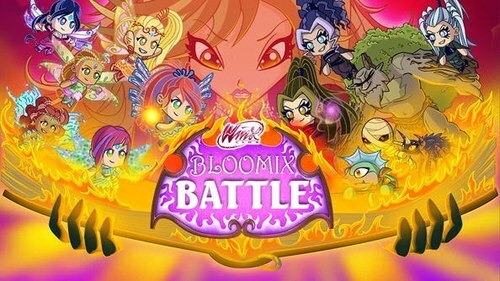 Season 1 was when the winx fought the trix alone, 2 when they fought the trix and Darkar, 3 was when they fought the trix and Valtor, 4 was when they fought the wizards, 5 was Tritanns and the trix, and 6 is the newest one with Selina.